Apple extends its iPhone 5 battery replacement program until 2016. Battery life is one of the most discussed aspects of the iPhone, but some handsets have it worse than others. If you bought an iPhone 5 in the six month window between September 2012 and January 2013, you could be eligible for a free replacement due to a battery fault. Apple first launched its iPhone 5 Battery Replacement Program back in August 2014, and has now extended it past its original deadline of March 1, 2015 to January next year. That means that if you’re one of the affected customers, and you’ve not yet done anything about it, you’ve still got a bit longer to do so. To find out, you can visit Apple’s website and enter your iPhone’s serial number; discoverable by going to Settings > General > About on your iPhone handset. Apple will then run a check to see whether you bought one of the affected batch of devices. If so, simply take your iPhone 5 to any Apple store, online tech support, or authorized reseller, and they’ll swap out the battery for you free of charge. Although initially available only in select countries, the program is now available worldwide. 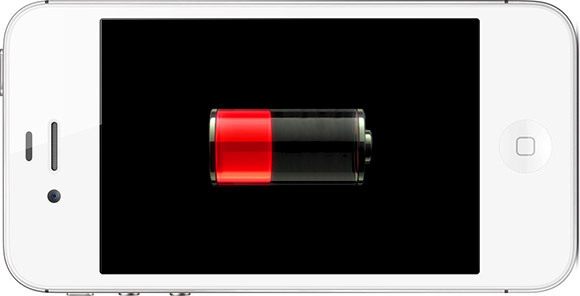 This entry was posted in Apple news and tagged battery, iphone 5. Bookmark the permalink. Reserve Strap wants to be your Apple Watch battery extender. Why my iPhone is the best watch I’ve ever owned.